You can connect up to 255 MDS100-BW together to a master PLC such as the Nano-10, FMD-Series or F-Series to a host PC. 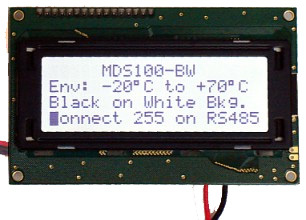 Each MDS100-BW can be programmed with a unique ID between 01-FF, and the master PLC is able to select which MDS100-BW to display what text simply by sending an ASCII string that includes the ID information of the display. 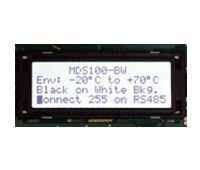 Hence the MDS100-BW is ideal for implementing multiple remote displays for a host computer.